ITC is one of those few enterprises in the world that has traversed a 100 year journey and has yet managed to remain contemporary, relevant and competitive. In the early autumn of 1910, sitting in the narrow confines of his modest office in Radha Bazar Street, Calcutta, it would have been impossible for the lone expatriate manager to even imagine what history would have in store for the company he represented. ITC's journey, over a century, has indeed been one of extraordinary transformation - from a small outpost of an overseas-owned company with a single product to one of India's most valuable and admired multi-dimensional and multi-business enterprises. Only a handful of enterprises in the world have traversed a 100 year journey and managed to remain contemporary, relevant and competitive. ITC is one such enterprise. 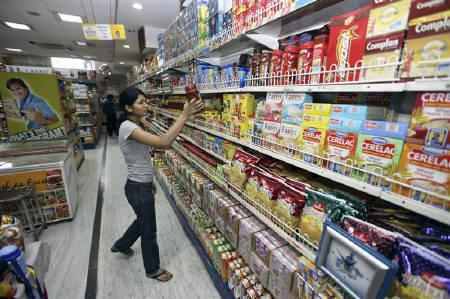 In the last four decades, ITC's topline grew from Rs 145 crore in 1970 to over Rs 48,000 crore (Rs 480 billion) in 2014, profit after tax soared from Rs 4 crore (Rs 40 million) to cross Rs 8,700 crore (Rs 87 billion) and market capitalisation catapulted from around Rs 35 crore (Rs 350 million) to more than Rs 2,75,000 crore (Rs 2,750 billion). From being a one-product category, ITC's portfolio now spans 20 categories with over 1,500 stock keeping units (SKUs). Today, a network of 100 factories churn out ITC's products, compared to just six units set up in the first 50 odd years. It is indeed a matter of pride that ITC today has a meaningful presence in all the three sectors -agriculture, services and manufacturing. What has been the driving force behind this transformational journey? Without a doubt, it was a series of visionary CEOs who led ITC at different points of time in its history. Interestingly, common to all of them was the deep desire and ambition to develop and sustain ITC as an 'institution' - the organisation's core identity was its primary status as a societal instrument of change. Creating "national value" was as central to this vision as growing "shareholder value". Contribution to enhancing the productivity of the entire value chain and meeting stakeholder expectations was as critical to this vision as maximising capital efficiency and improving returns on deployed resources. This vision, which was a source of personal inspiration for each one of ITC's CEOs, has not only survived over the last four decades, but has evolved into a formidable motivator for the 31,000 employees of the ITC group. A stellar example of "national interest" driving ITC's early diversification is its entry into the hotels and paperboards businesses in the mid-seventies. The potential to generate significant foreign exchange earnings (at a time when India was starved of it) and its multiplier capacity to create large scale employment in the tourism sector were the triggers for ITC's foray into the hotels business. Similarly, the opportunity to contribute substantially to the economic turnaround of a backward region like Bhadrachalam in the then Andhra Pradesh was the prime motivator for ITC's entry into the paper and paperboards businesses. Equally, these diversifications were backed by sound strategic rationale. Getting into paperboards was a vertical backward integration for its printing and packaging business which by then had already developed a sophisticated technology and skills platform. Likewise, the hotels business was premised on leveraging ITC's deep consumer insights, marketing acumen, engineering skills, and business leadership capabilities. Indeed in the two decades that followed, ITC's innovative battle strategies reshaped the landscape of the Indian hotel industry. During an era when enterprise strategy was being shaped by the then fashionable concept of unrelated diversification, ITC was embracing a much broader tenet of diversification anchored on its "core competency" of business portfolio management skills. 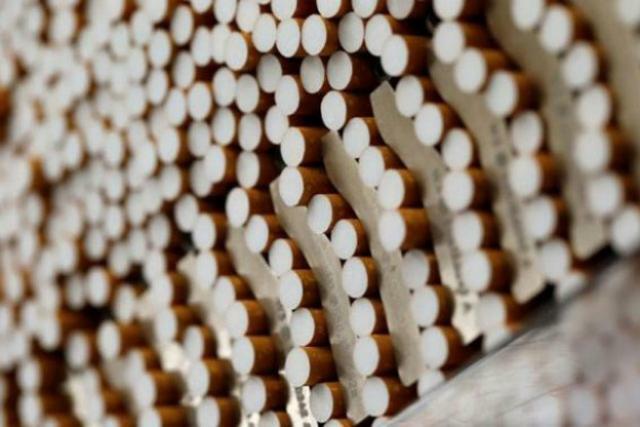 Its earlier diversification into leaf tobacco, printing and packaging, and its subsequent forays into hotels and paperboards had led to the internal conviction that leadership in the management of the "portfolio" would be the key success factor. Accordingly, an appropriate organisational framework of divisionalisation and related management and governance processes were painstakingly put in place. ITC's performance measurement processes backed by an elaborate management accounting system for assessing independent "investment centres" were breakthroughs in organisational design and financial management in the late seventies. ITC's belief that strength of capital and the scale of operations across product-market arenas would provide unique competitive advantages was perhaps ahead of its time. In fact, this conviction would be validated decades later by contemporary management theory that conglomerates in developing economies such as India create incremental value by filling "institutional voids". ITC, of course, has dramatically stretched this theory to address deficiencies in the entire value chain it operates in. Its celebrated e-Choupal is a case in point. The decade from the mid-eighties to the mid-nineties witnessed feverish execution of this strategy under two successive CEOs, JN Sapru and KL Chugh. ITC entered the financial services business and set up ITC Classic Finance Ltd. Almost simultaneously it entered the edible oils business and set up ITC Agro Tech Ltd. During this period, the hotels business took its iconic restaurant Bukhara beyond the shores of India. ITC acquired the specialty papers company Tribeni Tissues Ltd. Aspiring to become an international trading house along the lines of a Japanese sogo shosha, ITC Global Holdings Pte. Ltd was set up in Singapore. No strategy is fail proof. "A man for all seasons" is a myth in management. ITC was no exception. It ran into turbulence after two decades of diversification. When the current chairman Y C Deveshwar (see left) assumed office in 1996, ITC was experiencing an unenviable mix of challenges: its core cigarette business had just been slapped with a retrospective excise duty demand of Rs 803 crore (Rs 8.03 billion); its weak diversification performance was facing severe criticism. To compound matters, a battle for control of the company had ensued amidst a huge public smear campaign that significantly damaged its reputation. 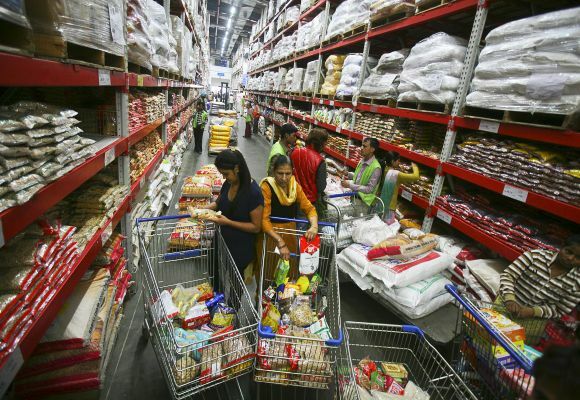 Also India had just entered a phase of liberalisation, drastically changing the country's competitive landscape. Responding to the challenging context of old burdens and emerging opportunities, Deveshwar embarked on a purposeful journey to restructure the company. The new team stood steadfast in its resolve to preserve ITC's Indian identity. 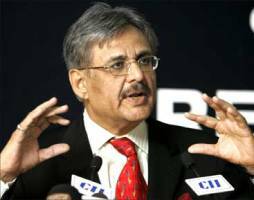 Deveshwar articulated an inspiring vision - to transform the company into an engine of growth for the Indian economy and reward shareholders by creating growing value. He spelt out the "Vision-Values-Vitality" framework of the triple bottom line strategy that would simultaneously build economic, ecological and social capital for the nation. ITC restructured its portfolio of businesses based on the strategic fit between market opportunities and its core capabilities. The greatest challenge was to enable the various businesses make the transition from competing in a relatively protected environment to winning in an intensely competitive and rapidly globalising market. This called for a paradigm shift with a new focus - acquiring international competitiveness in cost and quality in each of ITC's businesses through substantial investments in technology, processes, innovation and brands, supported by a strategy of organisation based on the governance principle of distributed leadership. 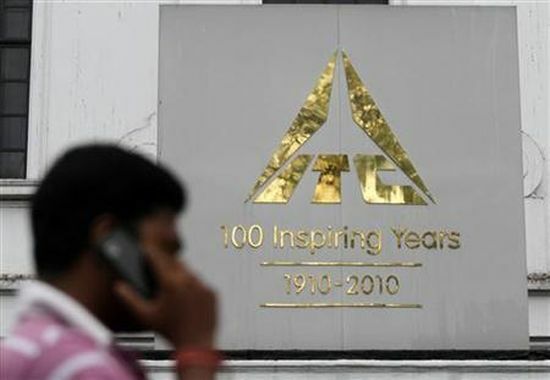 Recognising that ITC was perhaps not well positioned to create long-term value in businesses such as edible oils and financial services, an exit from these businesses was executed in 1998. In what was one of the most volatile periods in the company's history, huge financial outlays were incurred to wind up Classic Finance and make a pre-deposit in the excise duty case for the period 1983-87. Subsequently, with the winning of several legal cases, ITC's stand was vindicated, marking a critical phase in the rebuilding of its reputation. The paperboards business was merged with ITC, infusing it with new life. Substantial investments were made in an extensive R&D programme to develop high yielding, hardy and disease resistant clonal saplings to secure its need for high quality fibre. Small farmers and poor tribals with private wastelands were mobilised to grow these trees. This was a more difficult path compared to the easy option of importing pulp in an almost zero-duty regime. This strategy has not only contributed in greening over 1,60,000 hectare but created more than 70 million person days of employment. Most importantly, the paperboards business stands transformed into a clear industry leader - profitable and environmentally responsible. The hotels business was also folded back into ITC in 2004. ITC today operates more than a 100 hotels in four categories. ITC Hotels pioneered the concept of 'responsible luxury', becoming the greenest luxury hotel chain in the world with all its super-premium hotels. 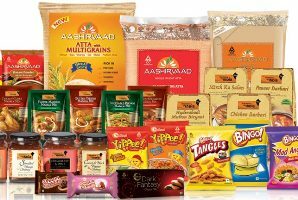 Driven by the aspiration to become the country's No.1 FMCG company, ITC has created a bouquet of world-class Indian brands that are popular household names today. Its vibrant portfolio includes brands such as Aashirvaad, Sunfeast, Bingo!, Yippee!, Kitchens of India, Fiama, Vivel, Engage, Wills Lifestyle, Mangaldeep and Aim, to name a few. 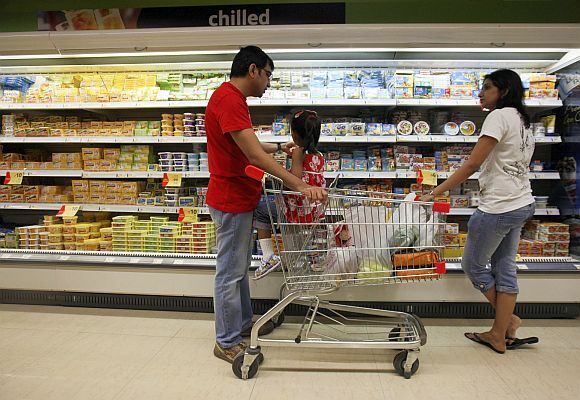 These new consumer brands currently represent an annualised consumer spend of over Rs 10,000 crore. ITC also entered the IT space through its wholly owned subsidiary ITC Infotech. Today, it is one of the fastest growing mid-tier IT companies in India. ITC has also made significant investments in setting up the world-class ITC Life Sciences & Technology Centre in Bengaluru to create the "products of tomorrow". ITC transformational journey has been enriched with its success in creating large-scale societal value. 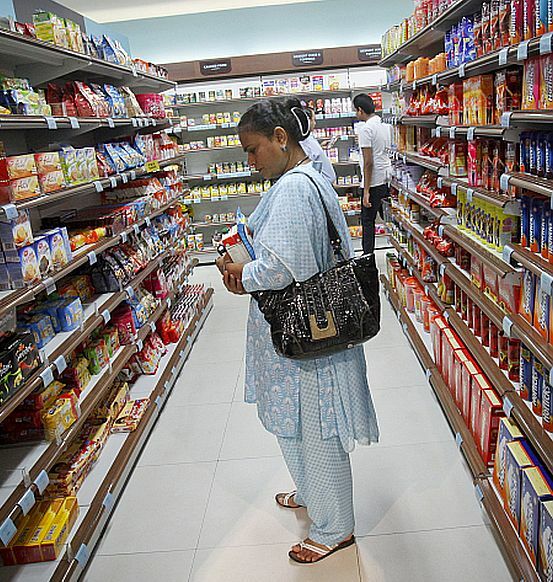 Today, ITC creates livelihoods for around 6 million people. Its revolutionary e-Choupal, has benefited over 4 million farmers. The company's sustainability programme includes large-scale watershed development, social forestry, animal husbandry, women's empowerment and primary education which have significantly impacted lives in rural India. Nearly 40 per cent of ITC's energy consumption comes from renewable sources and several of its properties have achieved the highest levels of LEED certification.